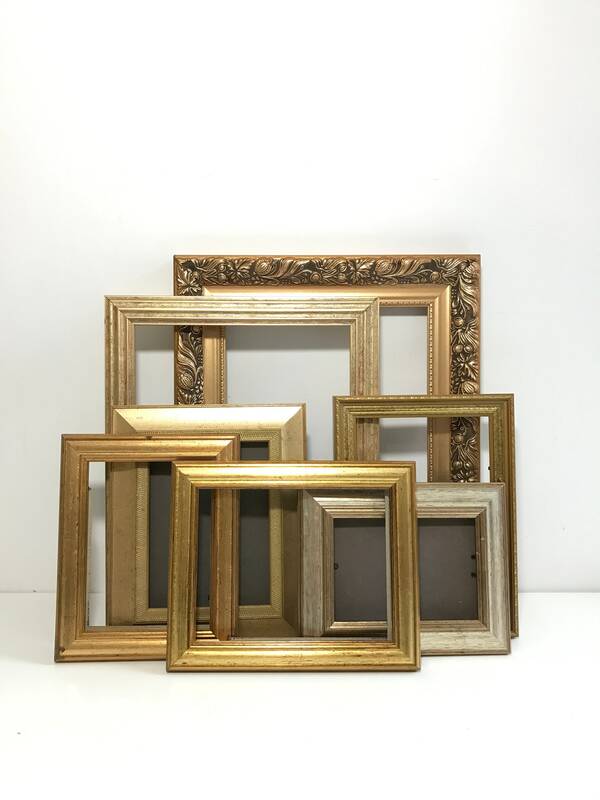 A collection of 7 old ornate gold coloured frames. 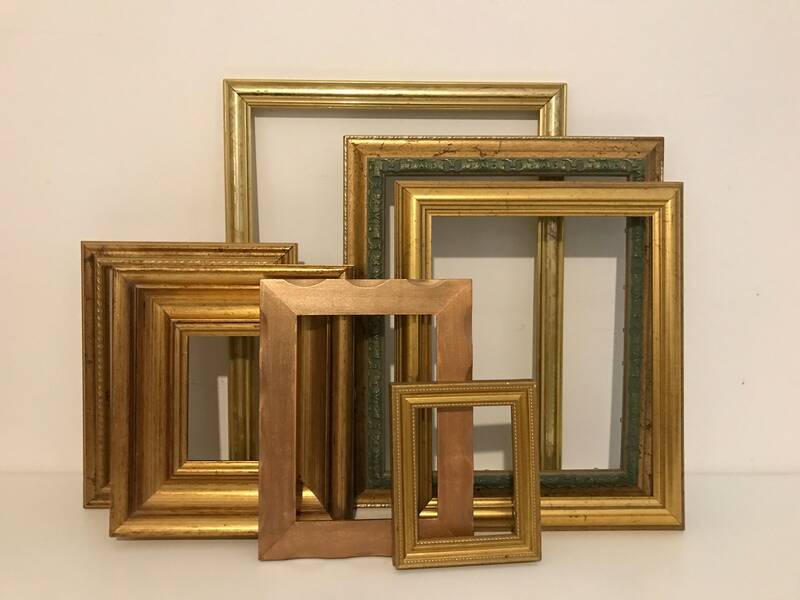 Perfect for your gallery wall project. 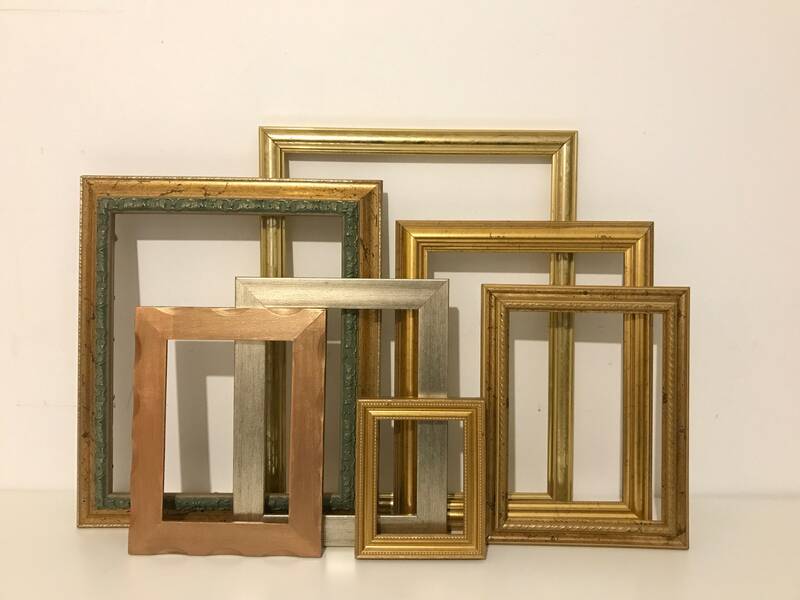 Leave them in stunning gold or paint them to match your home interior. 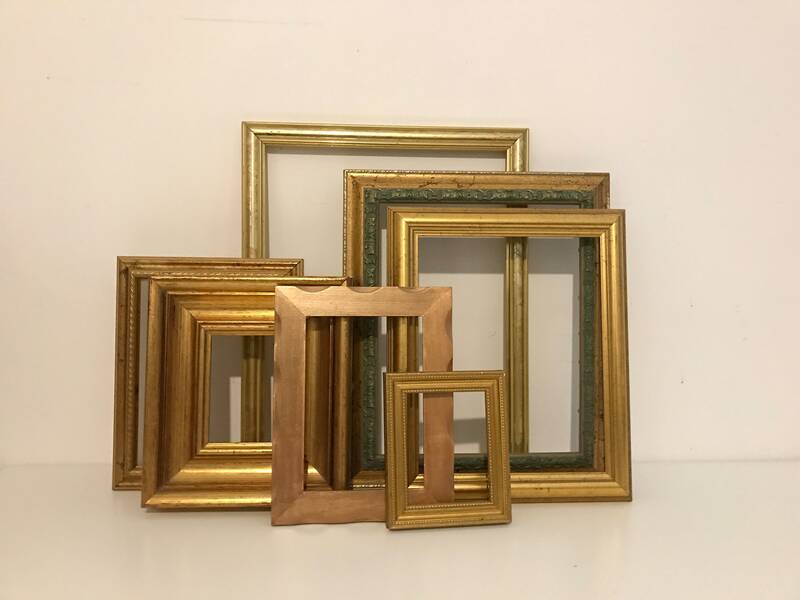 Frames in the image have now sold so a similar selection will be chosen. 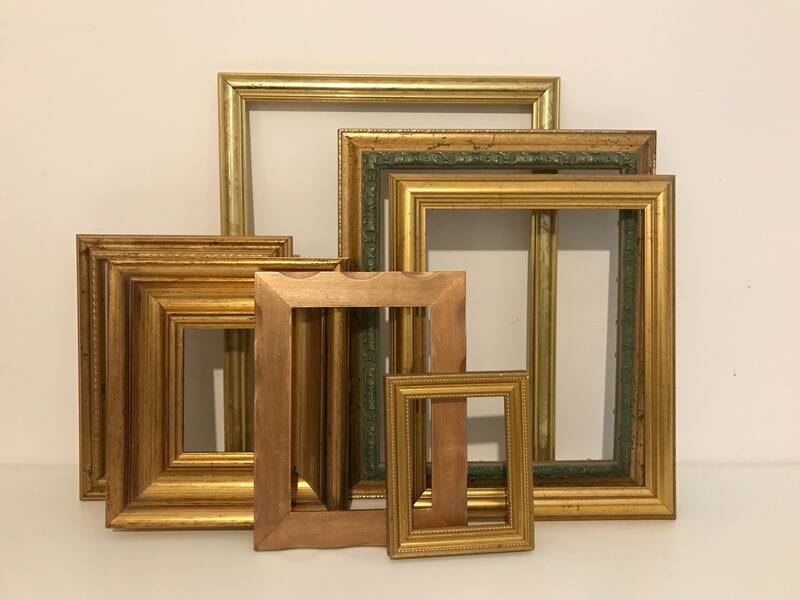 I am happy to send you an image of the actual frames before shipping if required just convo me or leave me a note to seller. 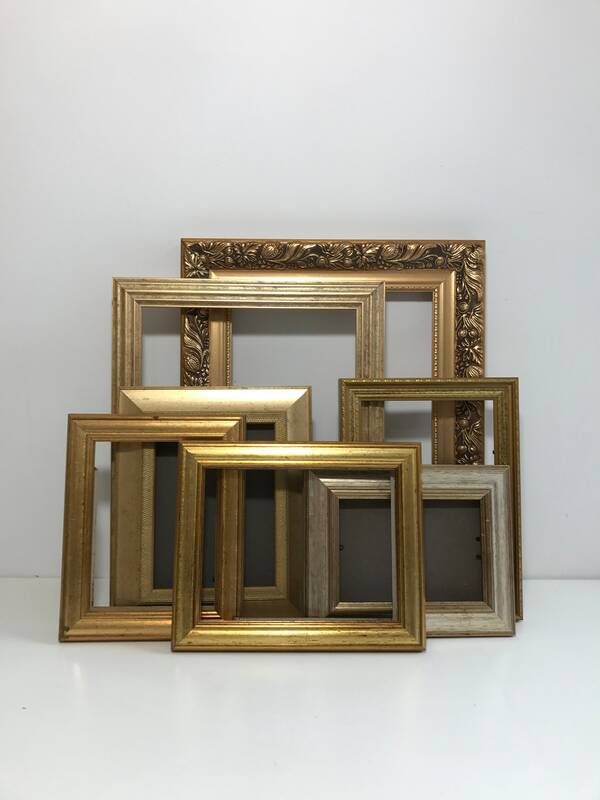 If you would like additional frames, please convo me. 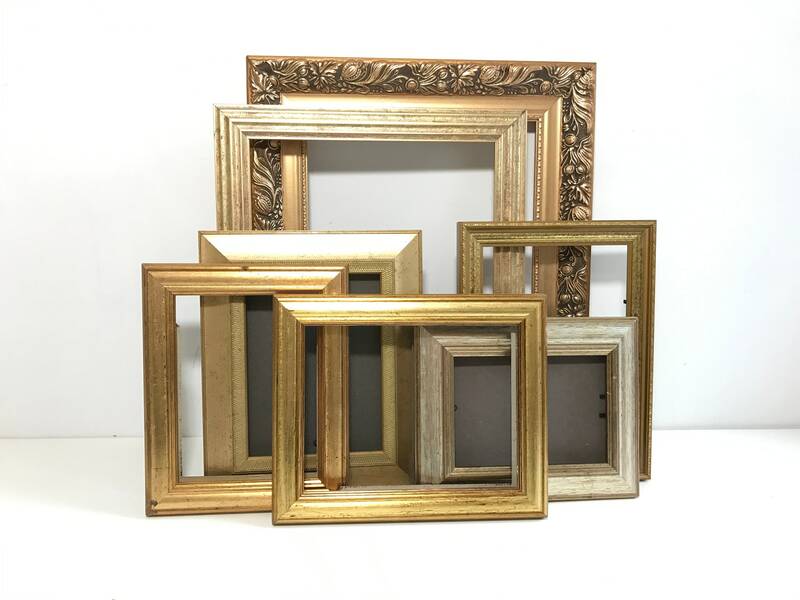 * PLEASE NOTE THIS IS FOR FRAMES ONLY NO GLASS ETC..
Turnaround time is usually 3-5 days on this product. 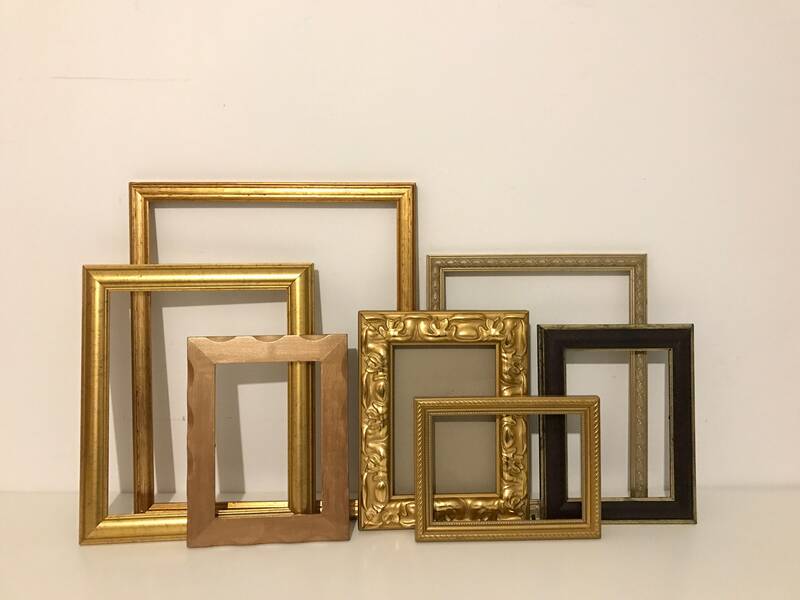 If you require quicker please convo me or request expedited shipping.